Can I also use the wind load generator for open buildings? With the load generator it is not yet possible to generate the loads for open buildings. You could generate the loads for a closed hall and then manually fill in the missing loads. 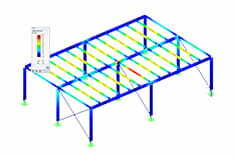 For free-standing roofs there are other assumptions according to the standard, which are not yet covered in the load generator. 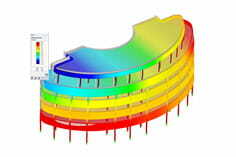 There is already an interesting article on the wind load on a freestanding roof on our website.